Ted was born in Camden New Jersey in 1945. He now resides in Jamestown, Michigan with his wife of 43 years. They have three children Frank, Jr, Christina Lyn Praria and Victoria Jane Labron. There are three grandchildren Samatha, Brendon and Balee. He is currently employed by GE Aviation Systems as a Lead Development Quality Engineer and will be retiring from GE on January 1, 2012. His past professional experience has been working for GTE Information Systems in Mt. Laurel, New Jersey as a Quality Assurance Supervisor. In 1979 Ted and the family moved to Houston, Texas where he worked for Singer-Link at the Johnson Space Center as a Senior Quality Engineer on the Space Shuttle Program where he worked with Dr. Sally Ride the first American Female Astronaut. Later the family moved to St. Louis, Missouri where Ted worked for McDonnell Douglas as Senior Quality Procurement Representative. He worked on the Harpoon and Tomahawk Missile programs and one “Black Program”. In 1989 they moved here to Michigan when Ted began his career with Smiths Industries which later was acquired by GE Aviation Systems. Ted has been responsible for several programs and Products that are used on several Fixed Wing Combat Aircraft such as the F-15, F-16, F/A-22 and the F-35 also several Rotorcraft such as the Apache, SH-60, CH-47 and Marine One. He has also been involved with several Commercial Programs used on Air Force One, 787, A380, C919 and Gulfstream G650. These programs have given him the opportunity to travel to Israel, India, Japan, Korea and China. Ted is a Senior DeMolay and PMC of Excelsior Chapter in New Jersey. He served as Chapter Dad for League City Chapter in League City, Texas and was Chairman of the Advisory Council of Grand Rapids Chapter. He received his Chevalier from League City Chapter and his Legion of Honor from Grand Rapids Chapter. He currently has accepted to be the District Governor of DeMolay for West Michigan. In 1966 he was raised a Master Mason in Trimble Lodge 117 in Camden, New Jersey. He has been a member of Jacques DeMolay Lodge of Houston Texas. Ted eventually transferred his membership to Valley City Lodge # 86 which is now Grand Rapids Lodge # 34. 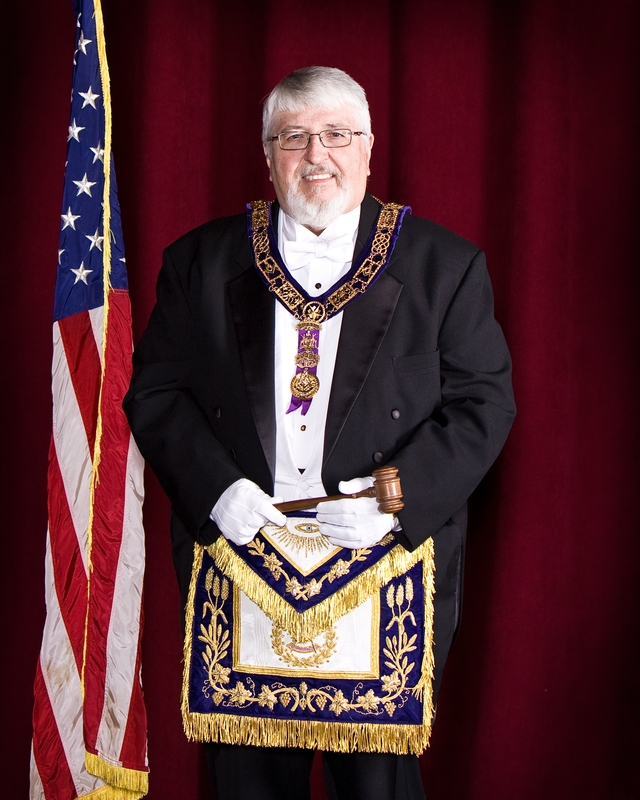 He served as Worshipful Master in 1997 and was Mason of the year. He is a Honorary Member of several other lodges. He served on the Board of General Purposes for eight years. During that time he was Chairman of the Legislative Committee. He was elected to the Grand Lodge Line in 2004. He has been active at Saladin Shrine having served on the Executive Board, Director of the Shrine Clowns, Vice President of Midway Shrine Club, First Lieutenant of the Mariners and a Member of the Big Wheels. Ted is a member of the Grand Rapids York Rite Bodies and is Past Thrice Illustrious Master and Past Recorder of Tyre Council number 10. He is a member of the York Rite College and the Allied Masonic Degrees. He served as Patron of Crescent Chapter OES in New Jersey and is a member of Peninsular Chapter #65 OES, Grand Rapids Michigan. He is also a member of the Valley of Grand Rapids, AASR and has been nominated to receive the 33 degree in August of 2011 in Chicago. He has served as Programs Chairman of Grand Rapids Chapter 1001 of the American Society for Quality, and has served on its executive committee for 10 years and also served on their scholarship committee and on the Member Value Task Force.